Picturesque Vungtau | Joy. Journey. Jotter. I must confess that I love the sea. And I love sunset better than sunrise. Someone said that those who prefer watching the sun setting on the horizon tend to be melancholy and overly sentimental. Perhaps I’m one of them. *Edited: This will be my last post before heading offshore tomorrow morning. Keep me in your prayers, my brothers and sisters. Shall upload the photos and publish the link when I get back okay? Chao! 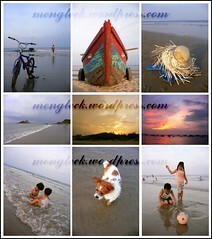 This entry was posted in Field, God, Jobs, Lazy, Life, Love, Photo, Travel by Meng Teck. Bookmark the permalink.